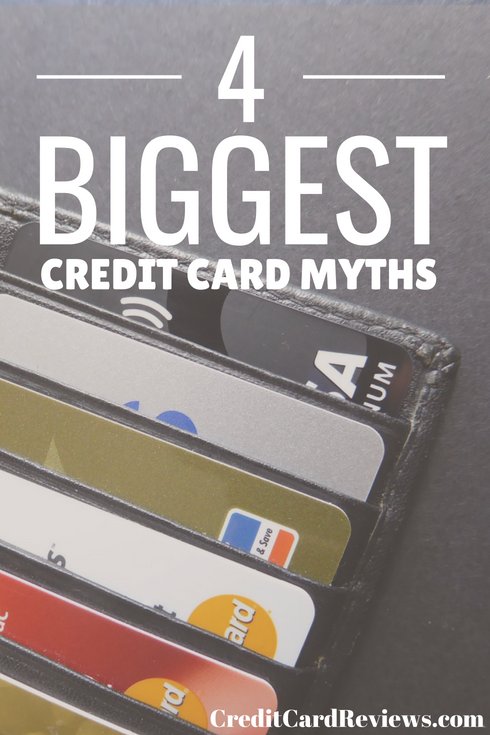 With an industry as confusing as credit cards, it’s easy to see why there are plenty of myths floating around. Some of them are more prevalent than others, but all have the ability to impact your spending habits and even your credit, should you believe them. While there are probably hundreds of total credit card misconceptions out there, today let’s talk about four of my favorites. 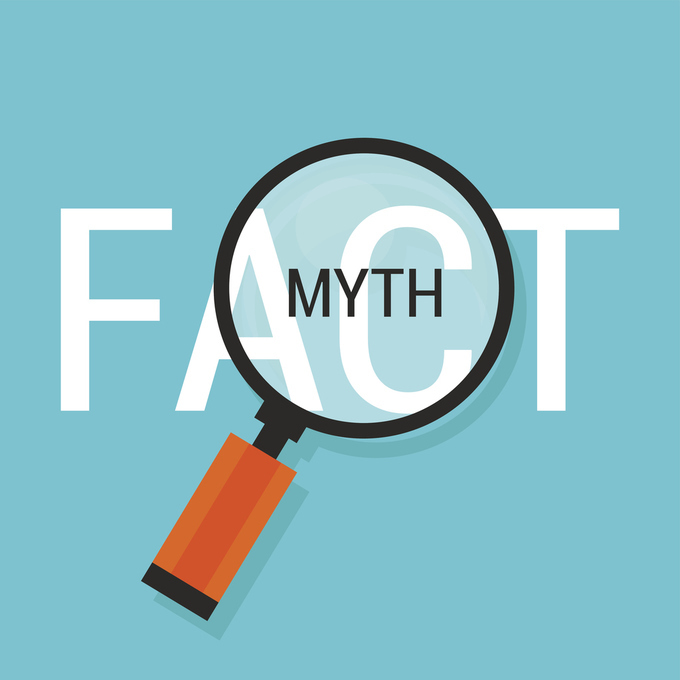 These myths are not only false, but can have a serious effect on your finances. Just last weekend, I was talking to my younger, 20-something brother about his love life. He mentioned how he would never marry a woman with bad credit, because the last thing he wants is to have his excellent credit wrecked as a result. One of the most common myths I’ve heard in the credit card vertical is that when you marry a person, your credit score is impacted by their credit score. If one of you has a significantly lower score than the other, the one with the higher score will see a sudden dip… all in the name of love. Luckily, this isn’t true at all. Each and every person has their own credit score and credit reports. These are maintained according to name, social security number, date of birth, and address; it doesn’t matter if you’ve been married 50 years, your credit is still your own. It’s true that couples often wind up with some overlap, though. This is because they adopt one another’s spending habits, get joint credit cards, and even take out mortgages together. Good, or bad, credit moves will impact both of your reports moving forward… but getting married won’t automatically boost, or drop, your own. The only caveat is if one of you adds the other to an existing account. If your spouse has a credit card that has a high balance or isn’t managed responsibly, and adds you to the account, those poor decisions will then impact your own credit score. Otherwise, though, your credit history is your own. Sure, your income matters. It impacts where you live, what you drive, and how you play. But when it comes to your credit score, your income means absolutely nothing. In fact, your income isn’t even tracked or reported along with your credit. Many lenders – from credit card issuers to mortgage loan underwriters – will want to know all about your income, but otherwise, it won’t really matter from a reporting aspect. Your debt-to-income ratio is important, and you should be tracking your own spending as it relates to how much you make. But as far as the credit reporting agencies are concerned? It doesn’t matter how much bacon you bring home. If you’re looking to build or improve your credit, you may have been told that you’ll need to carry a balance for a little while. You know, open a new card, buy something, and then pay it off over time in order to build a positive payment history. Except that this is totally wrong. First and foremost, carrying a balance from month-to-month is a great way to incur finance charges and form poor financial habits; paying off your statement balance in full each and every month is a smart approach to take. It’s also unnecessary, though. Whether your account has a $0 balance or a $10,000 one, it will be reported to the credit agencies each month. Yes, you want to show that you can responsibly manage your accounts; however, you can do this while still paying off your statement every billing cycle. Since credit card companies don’t wait until your payment due date to report account activity to the bureaus, you’ll likely see your statement balance on the report anyway. Whether you pay it off in full or only pay the minimum payment, it won’t change what’s already been reported. The only difference is that carrying the balance over means you’ll be charged interest fees and potentially allow your debt to spiral out of control. All you need to do is spend on the account each month and pay it all off, in order to see the benefits of activity on your credit. If you’re no longer using a credit card, many believe you should just close it. However, in many cases, this actually isn’t a good idea. An unused credit card is often an old account. This means that it’s having a good impact on your average age of accounts (which makes up about 10% of your FICO credit score). Closing the account will lower that number, in addition to eventually losing whatever positive payment history you may have. You will also lose that available credit when you close the account. If you are carrying debt elsewhere, this will immediately raise your credit utilization and, in turn, drop your credit score. Now, if you aren’t using a card and it charges an annual fee, it might be worth it to close the account. First, however, call the company and ask them to either waive the fee or downgrade you to a fee-free product instead. Then, you can keep your positive credit history without an added fee each year. Credit cards and credit scores can be confusing, even to those of us who have been using them for decades. These four myths are some of the most common, which could be impacting your credit daily.